Stephens said a student had posted something on social media Sunday and had since been talked with and disciplined. She did not elaborate on what the social media post said. 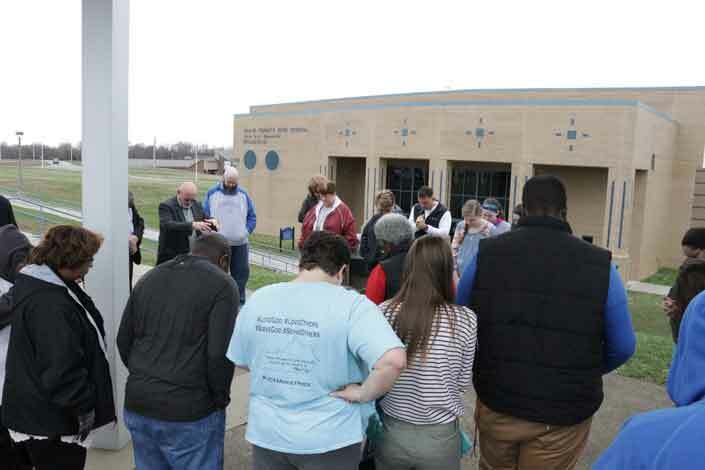 Community members joined together Sunday to pray on school campus for the safety of students, faculty and staff. The prayer walk was planned last Friday because of recent events locally and nationally.